With this event, the legendary Don CeSar resort invites music-lovers to experience an entertainment-packed weekend featuring four concerts and nine talented national songwriters who are passionate about sharing their music and stories with their audience. The two-day series promises to be experiential and interactive event, bringing soulful performances to the resort’s oceanside Rowe Pavilion and Grand Ballroom. Headliners include: Radney Foster, Carrie Rodriquez, Wild Ponies and many more. Along with enjoying original music and live performances, guests will indulge in craft cocktails, local brews, coastal cuisine and much more. 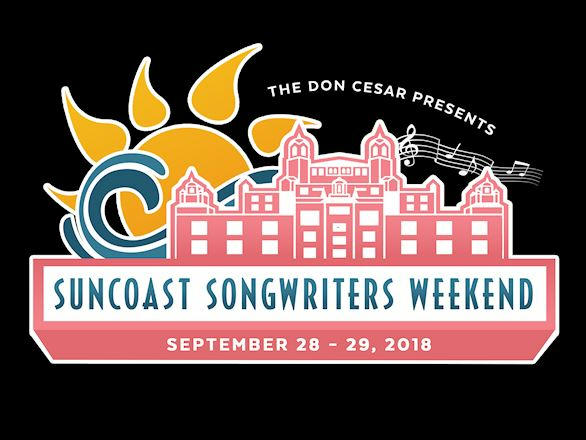 Suncoast Songwriters Weekend travel packages at The Don CeSar are now available online offering guests a Two Day Suncoast Pass bundle that includes all nine performances over Friday and Saturday during their stay. Packages can be booked directly on the Don CeSar’s website with the promo code: SONGW. Weekend rates begin at $389 per night, based on double occupancy. Individual Suncoast Songwriters Weekend passes start at $125 per person plus tax and are available for purchase through Eventbrite. For more information, please visit www.doncesar.com/featured-events.aspx or call 727-360-1881.